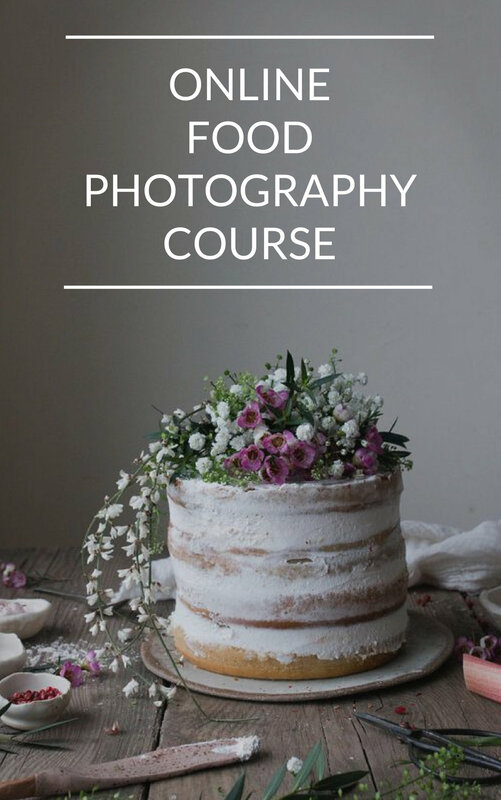 As an avid home cook and a food photographer everything starts with great food and a great work surface. If you think of it from the home cook's perspective it makes sense, right? Your ingredients have got to be right to create the dish you crave, but you also need a reliable, sturdy worksurface that makes the preparation process smooth and easy. Hence I kinda felt like I won the lottery when the people behind SapienStone, who produce the most AMAZING porcelain countertop surface ever, contacted me to test their incredibly gorgeous worktops through the medium of food and photography. So what's so special about them? Well from the home cook's perspective I love my SapienStone Calacatta worktop surface because it is scratch resistant, unaffected or altered by light or cleaning products and so sturdy I was able to prepare all the ingredients for today's recipe directly on the worktop itself, no chopping board needed. How cool is that? From a visual perspective, SapienStone's worktops are all I'd ever want in a ceramic surface - a gorgeous natural finish, lovely detailing and utterly classy. To be honest since I got my SapienStone worktop I've not stopped photographing on it. (Want proof? These check these shots here and here as they were taken on my Sapien Stone's Calacatta worktop). The worktop I chose has got character and detail, as well as a soft, natural, matt finish which makes any food you photograph look irresistible. Want to find out more about how to get your hands on this worktop? Then please check out SapienStone here. BTW I'll also be showcasing another one of SapienStone's worktop surfaces later in the year so watch this space ;). Thanks for reading everyone and hope you enjoy today's vegan recipe, which you can find below :). 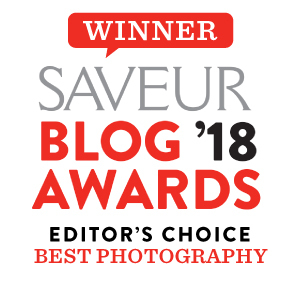 As some of you may know, I had a MASSIVE surprise a couple of days ago when I found out that I've been nominated for the SAVEUR Blog Awards in the BEST FOOD PHOTOGRAPHY category. I cannot even begin to tell you what this means to me and how filled with gratitude I am to be recognised for my work in this way. Thing is, what happens next is in YOUR hands and hence may I ask, would you consider voting for me here (insert blush emoji)? It takes 22 seconds (I timed it), but would make THE WORLD of a difference to me, honestly. Thank you so, so much. The inspiration for this recipe came from one of my foodie heroes Heidi Swanson. It's a filling yet fresh salad perfect as a main meal in late summer. Hope you enjoy it as much as I did :). Prepare the dressing by placing the soya/tamari sauce and sugar in a saucepan and gently reducing over a low to medium heat for about 7 minutes - 10 minutes. Stir continuously and if the mixture starts to bubble, please reduce the heat. The dressing should be thick and sticky. Once done, set aside. Take your tofu and press out any excess water using kitchen towels. Once this has been done, cut your tofu into cubes and spread them evenly into two bowls. Then take your watermelon, cut away the tough skin, remove the black seeds and cut into cubes. Next take your washed greens and spread them evenly into your two bowls. I used baby spinach because they are mild, but you can use hardier greens such as kale, just cut into smaller pieces if doing so and remove the stems. Next take your micro greens and distribute evenly into your two bowls. Do the same with your cucumber slices and Chioggia beetroot slices. If you can't find Chioggia beetroot you can also use golden beetroot or regular red beetroot. Then place your avocado half in each bowl; you can use the juice of 1/2 lime to stop the avocado from browning and to add an acidic touch to the salad dressing to balance out the sweet and salty. Top everything with the sesame seeds, spring onions and dressing and enjoy immediately. Older PostIS YOUR INSTAGRAM ACCOUNT WORTH FOLLOWING?